As Gardner mentioned, 92,000 Coloradans must find a new plan for 2017. Those 92,000 people include 10,549 from the UnitedHealthcare individual plans, 9,914 from the Humana individual plans, 10,000 from the Rocky Mountain Health Plans, and 62,310 from the Anthem BlueCross PPO that the insurer will no longer sell in 2017. But, wait, there’s more. The fee increases coming in 2017 will be as much as 40.6%. Is there really a single person who will still claim that Obamacare was a great idea? Further, can Coloradans really stomach more meddling by the government in healthcare in the form of Amendment 69? 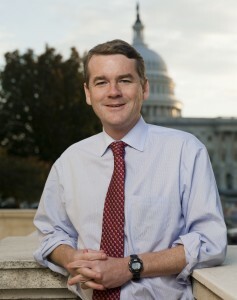 PeakNation™, just say no to 69 and no to Michael Bennet.